Dame Sally Coates has given MPs and Lords a flavour of the broad changes she will recommend as part of her review of education in prisons. Her address followed from Prime Minister David Cameron’s speech earlier in the month in which he condemned the “scandalous” failure of the current prison system and laid out plans for “biggest shake-up of prisons since the Victorian era”. Speaking to the All-Party Parliamentary Group (APPG) of Penal Affairs on 23rd February, Dame Sally was joined as a speaker by Nina Champion – Head of Policy at Prisoners’ Education Trust (PET) and Nathan Motherwell – Apprentice Coordinator at Rehabilitation for Addicted Prisoners Trust (RAPt). Dame Sally, who has had remarkable success in turning around inner-city schools, said she was a “complete novice” to the prison sector when appointed by Justice Secretary Michael Gove to lead a review of education in prisons. She said that while at first she considered education to be “a minor thing” in the context of other problems in the estate, she was now convinced of its centrality. “I now realise that education is at the heart of [the prison system]. If you’re really going to change things then education has to be central to rehabilitation and reform, and be seen as fundamental to a prison’s success. Dame Sally called for greater autonomy for prison governors, who she said should be accountable for the quality and delivery of education within their institutions. In his speech, Cameron said he will accept this recommendation in full. Education in prison needs to go beyond basic skills, said Dame Sally. She described meeting a prisoner in HMP Belmarsh who had an English degree but was studying towards level 2 in English, a situation she described as “absolutely ridiculous”. She said individual’s progress should be measured, and that prisons should establish real links with colleges and employers outside. The prison workforce also needed “upskilling” said Dame Sally, through schemes designed to attract a greater number of graduate teachers, as well as through more professional development for education staff and officers. She said she would be recommending the greater use of technology for prisoners, and that concerns about security should be effectively managed and not be a deterrent to this. Dame Sally’s proposals chime with many of the recommendations issued by the Prisoner Learning Alliance. Speaking on behalf of the alliance and PET, Nina Champion said the benefits of education for those in custody went beyond skills and employability but extended to health and wellbeing and to the overall culture of institutions. She called for a better way of measuring the impact of learning, based on “outcomes” rather than “outputs” and stressed the importance of supportive staff and peers in order to empower learners to decide to change and to sustain that change. “Like me, the majority of people in prison have experienced childhood trauma, have been in and out of care systems and then in and out of jail for years and years. They don’t have experience of having lots of choices and they don’t know it’s possible for them to do stuff. Even a simple qualification feels unachievable. 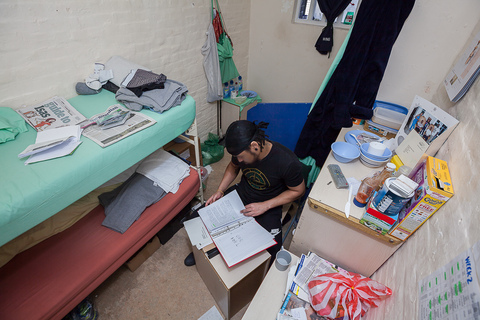 A particularly concern, said Nathan, was the fact that prison clearance rules often prevented former offenders from revisiting prison to offer support to those in custody. Having people who had been through the system themselves involved in rehabilitation was “invaluable”, said Nathan, and he called passionately for current rules to be relaxed. The APPG was chaired by Lord Ramsbotham, former Chief Inspector of Prisons. Coates’ Review of Prison Education is due to be published in late March.